Its time for your fluffy balls to join you at bedtime! "Here I wait, for my friend who’s late. I will stay, just to walk beside you for one more day." Its time to let your pets stay indoors with you without sacrificing your sense of personal style. In addition to adding an understated elegance to your bedroom, this tufted wingback bed with pet cove is designed to accommodate your fluffy and furry friends. 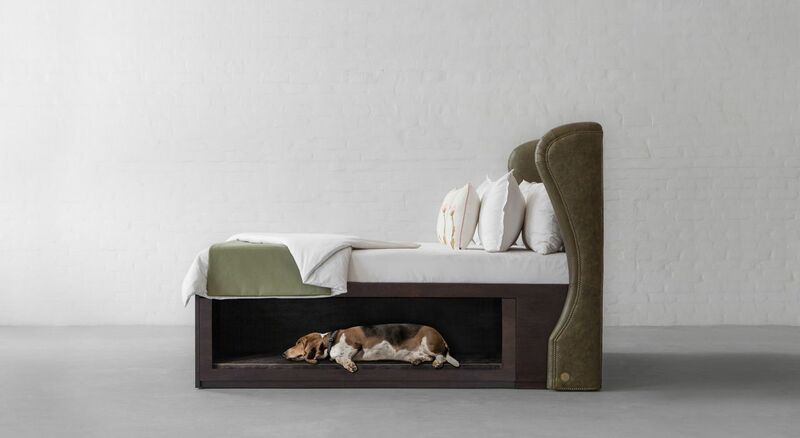 We created a cozy space for your four legged friends so that you get a sound sleep without worrying about them. We understand that happiness comes in all sizes! 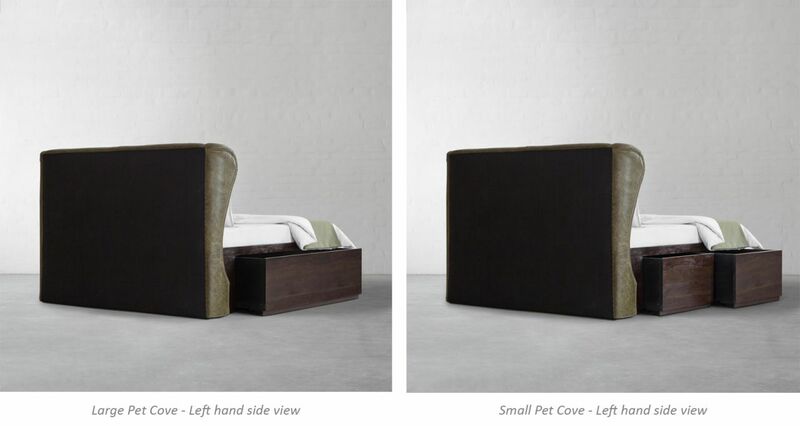 Keeping the same thought in mind, we designed our Pet cove bed in two sizes; one for your little balls of energy and one for your grown up friends. 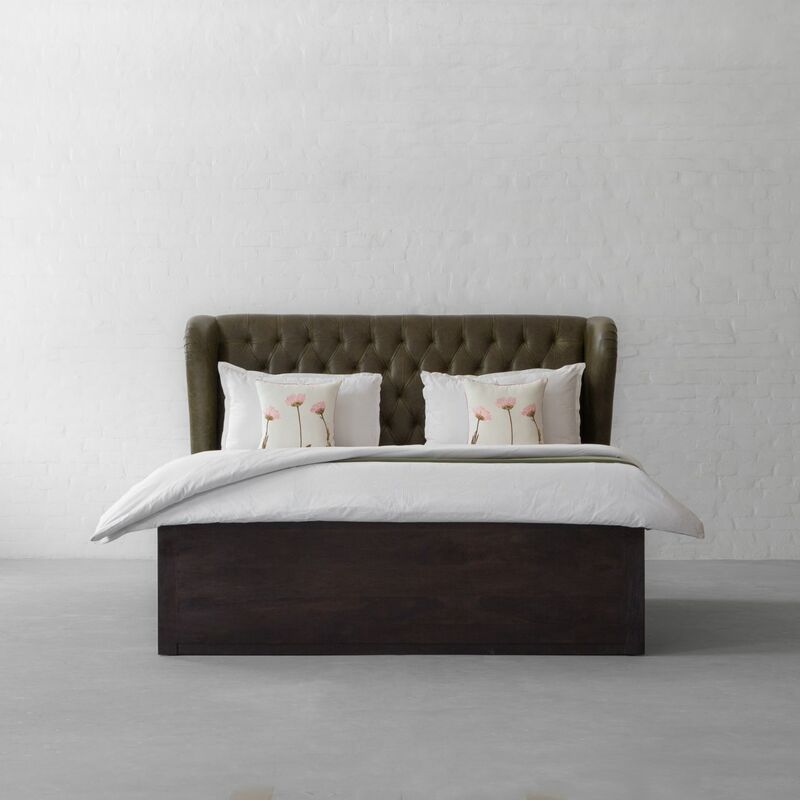 With pet cove on one side and additional storage on the other, this design is a perfect amalgamation of utility and sophistication.